The narrative behind Steve Buscemi and Vampire Weeknd’s partnership for their upcoming American Express UNSTAGED webcast (4/28) becomes more robust with today’s promo videos. Before the collaboration was officially announced, we all had a bit of a “huh?” moment when they all appeared together in NYC’s Easter Day Parade. 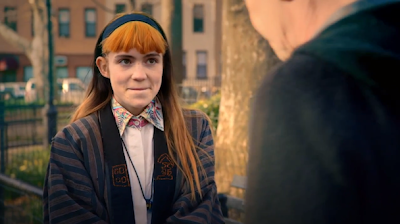 Connections start to be made in this clip featuring Grimes, who made waves this week when she posted what’s being called an “epic feminist manifesto.” Here, you can watch her in an adorably awkward exchange with Buscemi about Easter plans. Check out their odd, but sweet, encounter and more holiday antics below.